Major price reduction on this wonderful updated mid-century modern home. It has all of the charm and classic lines with updated features. 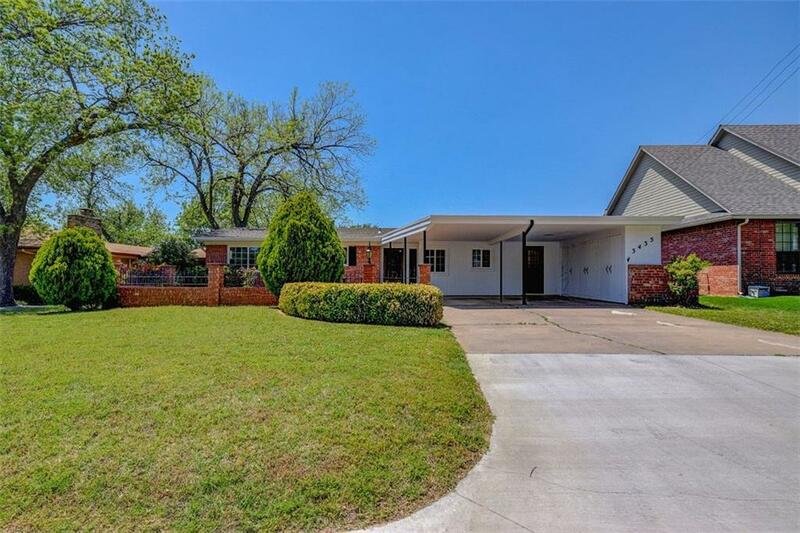 Two large living rooms, an updated kitchen, new shingles, windows, HVAC in the last 5 years, 2 water heaters, fresh paint, carpet, luxury vinyl tile in the huge second living room, interesting mosaic tile in the hall bath and gorgeous granite. This can be 4 bedrooms. The 4th bedroom is quite small but has a 1/2 bath. It is separate from the other bedrooms. If you don't need a bedroom it would be a great office, craft or exercise room, or maybe a playroom. The yard is spacious and has a covered patio and deck. Lots of storage inside and out. Don't worry, if weather strikes you have your own underground storm shelter. Come see it before it's gone.